This opportunity is made possible through funding support from BC Arts Council and the Government of British Columbia. Accountant, policewoman, prepress technician, engineering surveyor, and now artist; Adele’s life journey has brought her full circle to the career she always wanted. Having the themes of justice, storytelling, and creating something beautiful from whatever was on hand as a common thread throughout her life has prepared her for this transition. A Nehiyaw/Metis artist, she creates work to spark conversations about cultural appropriation, social and environmental issues in order to educate from an indigenous perspective and counteract current stereotypes. Her art encompasses acrylic paintings, wood carvings, traditional hand drums, beaded jewelry, and giclée prints/cards. Amanda is a Northwest Coast Artist of the Sto:lo Nation. She is a recent graduate from the First Nation Fine Arts Program at the Freda Diesing School of Northwest Coast Art. Her latest Achievements include winning an honorary mention at the Presidents Choice awards 2016 & 2017. Her current art practices are painting with acrylics and sculpting with wood. 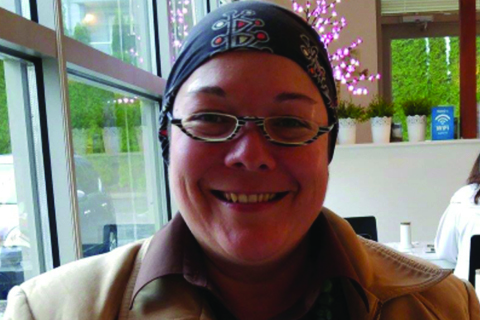 She is an active Terrace Art Gallery Member, a 6-year scout leader with the Terrace Scouts Canada Group, a community supporter and a mother of an 11-year-old beautiful daughter and wife of a loving and supportive husband. She currently lives in a cozy bungalow that sits parallel to the Skeena River in Terrace, B.C. Danika Naccarella was born in Vancouver, British Columbia. She moved to the remote community of Bella Coola in 2009 where she was exposed to her Nuxalk culture. Attending Acwsalcta School, she studied and learned Nuxalk culture, including the songs, dances and art of the Nuxalk Nation. 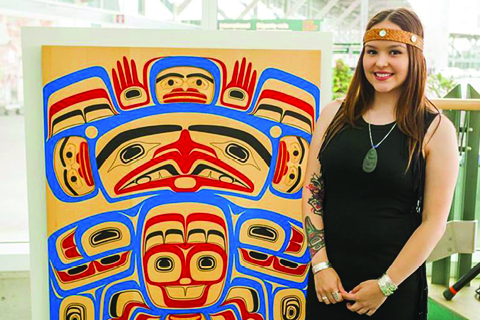 Danika is now an avid painter of Northwest Coast art, mostly in acrylic mediums.She attended the Emily Carr University of Art & Design and participated in a ‘Summer Institute for Teens’ taking the Aboriginal Arts Pre-University 4 week program. Danika attended the Freda Diesing School of Northwest Coast Art in 2014 to obtain her Certificate & Diploma in First Nations Fine Arts. The majority of her art practice focused on Northwest Coast First Nations Fine Arts, specifically form line drawing and painting. She also recently has completed a 4 week tattoo residency, where she received training to do traditional tattooing, the Hand Poke & Skin Stitch method. 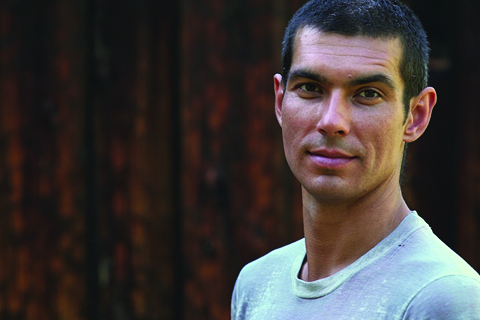 Dean was born in Watson Lake, Yukon and is of Kaska and Tlingit descent. He has been practising traditional and contemporary Northwest Coast Art for the last 25 years. He attended the Freda Diesing School, in Terrace BC, in 2006 and has been carving ever since. As an adopted child, his art has been a way of connecting back to his cultures. Through exhibits here and abroad he was able to connect with his birth family in 2010. He has instructed workshops for youth and adults alike and enjoy watching art foster growth and confidence. His art is based on traditional stories, personal experiences, and contemporary themes that push the art in different directions. He is a painter, carver, and budding graphic artist. His work is inspired either by traditional stories, personal experiences, or themes requested from clients. Eli is an Nehiyaw/British/German filmmaker, photographer, bead worker, visual artist and storyteller. He was born and raised in Victoria on Lekwungen territory. His art practice involves documenting and making work about Indigenous cultural resurgence and revitalization. Currently his work is primarily documentary film-making. He produced a documentary about Indigenous Language Revitalization for Telus’ Optik Network last year called “Voices On The Rise”. His creative process is based upon a respectful and reciprocal relationship with those he collaborates with, and to engage in critical discussions about what it means to heal and grow through art and culture. Eli sees how critical it is for history and present circumstances to be explained and articulated with Indigenous pedagogies and points of view. Liz is an Two-Spirit Anishinaabe Agokwe, descended from Pikwakanagan First Nation in the unceded territory of the Algonquin people and currently lives as a guest in K'omoks territory. Her family is of mixed ancestry, and represent three generations of survivors of Residential School, institutions, and the child welfare system. Liz completed her B.A. and B. Ed in 1997, and has been working with all age groups ever since. She founded the Sisters Drum Circle in Courtenay in 2015, and is the carrier of a "Little Big Drum" for children which was made by the Sisters Circle. Liz has written original songs for children in Cree and Anishinaabemowin, and works with groups of all ages in circle format with drum, song, stories, and movement. She is a drum maker, carver, and crafter. Grace Dove is a Secwepemc actress from Canim Lake Indian Band. She is a graduate of the Vancouver Film School Acting program. Most recently her acting career has skyrocketed, with huge learning curves working alongside artists such as Leonardo DiCaprio, Tom Hardy, and oscar winning Director Alejandro González Iñárritu in “The Revenant” which premiered January 2016. Grace is working with the "UnderEXPOSED" team on APTN (Aboriginal Peoples Television Network) broadcasting nation wide, where she most recently completed her 3rd season of production, moving from apprentice to lead host of the show. Grace has been travelling mainly throughout North America in 39 episodes, including everything from snowboarding, and skateboarding to surfing! This new series has combined her love for TV and photography all in one. Grace loves community involvement through workshops and exploration of the arts. She is grateful to be sharing her craft, in the hopes of inspiring the same dreams within the youth of today. “The next generation must be told it is ok to be seen and heard. Our dream is for us as indigenous peoples to be shown in the mainstream media as strong, resilient people of the land coming together and creating what has been lost. We are starting to understand our own journey of healing through the art of acting, and filmmaking. Movies are a form of storytelling." Originally from Sucker Creek First Nation, Linsay grew up immersed in her Aboriginal Culture. This traditional upbringing is where she learned the importance of respect and honour. She also maintained a well-balanced life through athletics. Linsay was captain of her high school hockey team and is a traditional Fancy Dancer.Linsay completed her Bachelor’s Degree in Child and Youth Care at Grant MacEwan University. During her fourth year of school she was chosen as a finalist for the show “Canada’s Next Top Model”. Upon completion of University she started a business with partner Grace Dove Syme, Thunderbird Dreams, a full service youth empowerment company designed to provide youth with the tools needed to achieve their dreams. 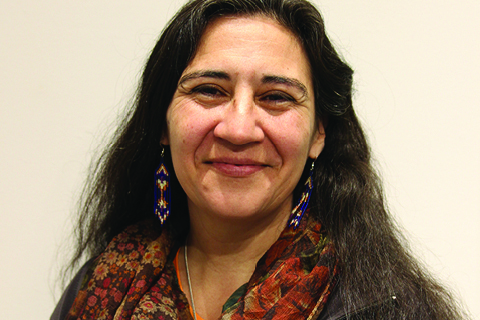 Rose Spahan is a Salish woman raised within her people’s territories on Vancouver Island. She is an accomplished artist, teacher, curator and has extensive experience implementing and directing projects pertaining to indigenous cultural and artistic. She has experience working with galleries, coordinating special events and in television. 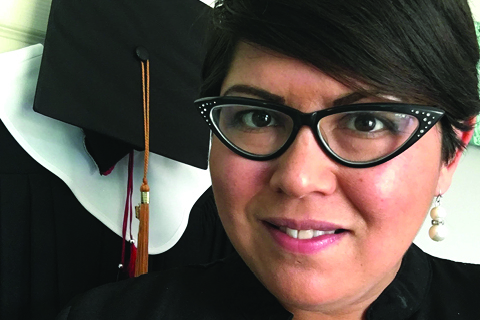 She has a Bachelor Degree in Fine Arts from the University of Victoria and received the Canadian Native Arts Foundation award to attend the Institute of American Indian Arts in Santa Fe. In keeping with the traditions she inherited from her people, Rose shares her experiences in the arts world with First Nations communities. Her mission in the arts is to motivate First Nations peoples towards personal growth, cultural integrity and creative ingenuity. She has exhibited works all around the world and has been published in several works. She practices in mixed mediums and features Salish images in her work. Recently, she has completed thirteen segments as a host for the New Canoe, a television program that respectfully covers contemporary First Nations artists with honour. Roxanne Charles is an active and proud member of Semiahmoo First Nation in Surrey, BC where she promotes art, language, and culture. She works in a variety of mediums including digital, jewelry, painting, cedar weaving, sculpture, the body, ceramics, and installation. Her work explores a variety of themes that directly reflect her experience as an Indigenous woman in Canada today. 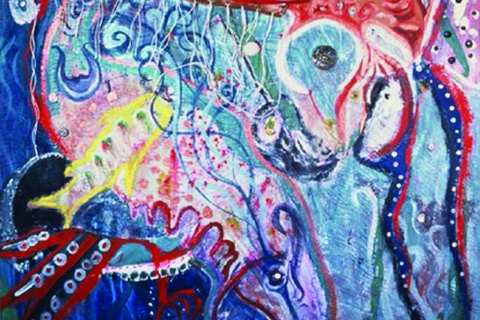 Some themes commonly seen in her work are spirituality, nature, identity, hybridity, urbanization, exploitation, intergenerational trauma, and various forms of violence. She is as a contemporary story teller. Roxanne uses her art to speak out against large issues such as systemic violence, traditional food security, and the fentanyl epidemic through ceremony. She is currently providing indigenous education in the school system through the Surrey Art Gallery. 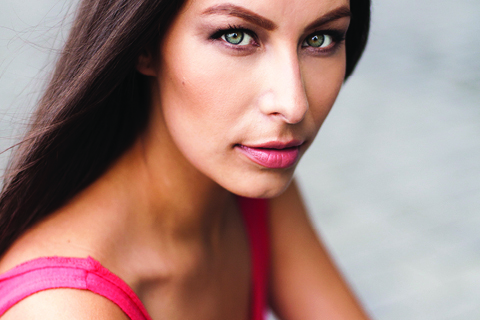 Shayla Stonechild is Plains Cree from the Muskowpetung Reserve and currently reside in Vancouver. She is an actress, model, motivational speaker and currently host a new TV series on APTN called 'Red Earth Uncovered'. The Show is based on Indigenous Urban Legends and uncovers stories about Sasquatch, Little People, Thunderbird, etc. It shows the 'mainstream' perspective and then the Indigenous side of things. The experience has opened her eyes about storytelling and how it has always been a big part of aboriginal culture. She has been involved with the performing arts ever since she was a child. She was the youth director of her mothers performing arts company, Sunworks Arts & Cultural Society and has travelled to many different cities and reserves facilitating workshops that focus on life skills, acting, dancing and boosting kid’s self esteem. Shoshannah Greene was born and raised on Haida Gwaii. She is a member of the Staawas Eagle Clan with the Haida name SGidGang.xaal, meaning wild rose. Growing up in Haida Gwaii, Shoshannah was surrounded by artists of many styles and talents, from classical and contemporary Haida art, and Canadian artists. 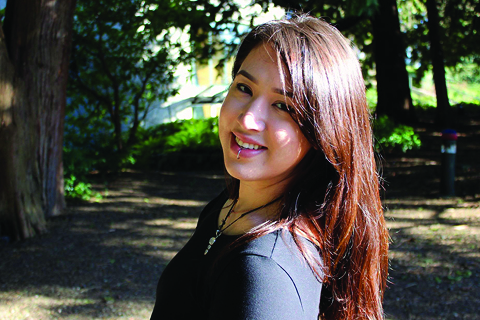 Shoshannah carried forward her love of drawing cartoons and stories to Emily Carr University of Art + Design to pursue a Bachelor’s of Media Arts, with a major in Animation. 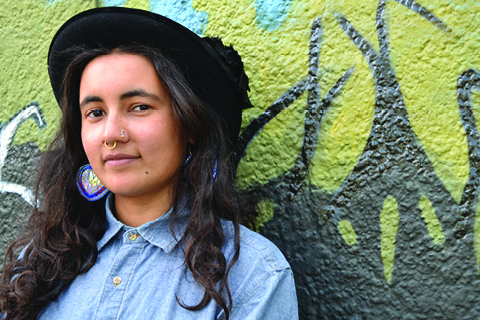 Suna Galay (born 1990) is a Vancouver-based Indigenous visual and performance artist of mixed descent (Chippewa, German, Nepalese and Ukrainian). She studied painting and sculpture before exploring the world of clown performance with teachers David MacMurray Smith and Francine Cote. 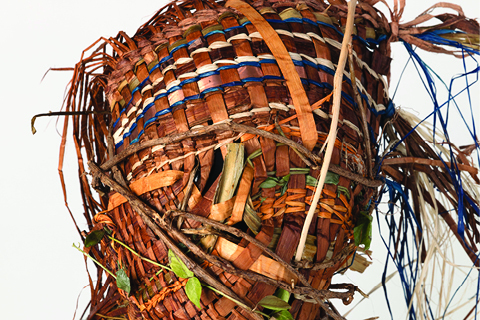 Her visual art practice began with an examination of cultural identity and expanded into an exploration of the human spirit’s inherent fluidity, realized through the many masks of her own character. Her goal in performance is to remind the audience of their raw humanity and the validity of emotions. Her paintings have been exhibited at Hapa-Palooza Festival, Toast Collective, and Parkgate Community Centre. She has also performed at Vancouver’s Elk Lodge, Anza Club, and Kanti Children’s Hospital in Kathmandu, Nepal. YA’YA is the hereditary Chief Xyadiit, of the Gitxsan tribe, FireWeed clan, Kispiox village. He has been on the land for most of his life. He started drawing west coast Indian art on his own when he was 10 years old. 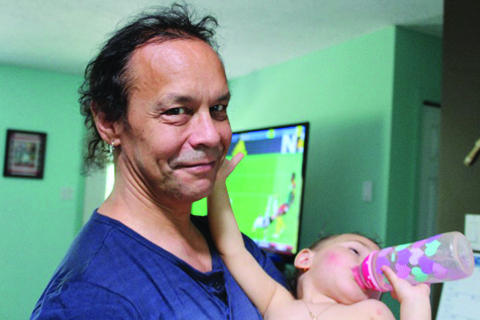 He has had a full life starting with teaching at the art school K’san Historical Village, being a father and now a grandfather, working on land claims as a cartographer, leading as hereditary Chief, and as an artist, storyteller and author. He can make anything, any size, from anything! Miniature to monumental art works, metals, woods, stones, resins, photography. His career has gone thru several phases, several interests, themes. As he continued, he started making self portraits sharing his ideas and messages. His creations and writings concentrate on Native relations within Canada and the plight of his peoples. 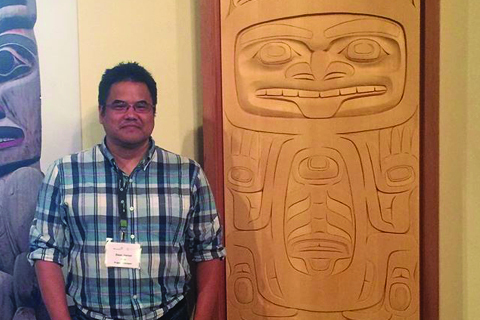 “When my children were in elementary school, I was teaching them and their buddies Gitxsan traditions and art. I was not doing this in the school, we were in my workshop or by the river or in the bush. I liked being the teacher, helping the little ones. The happiness and Native Pride I see in their faces is why I help. Learning with art is a pleasure that old and young easily enjoy. Creativity and being inspired by each other. Its all a pleasure and so very important for all of our future generations. ALL schools must include a mandate to develop and publish and to teach people how so very important and critical Natives have always been on this land (in Canada)."